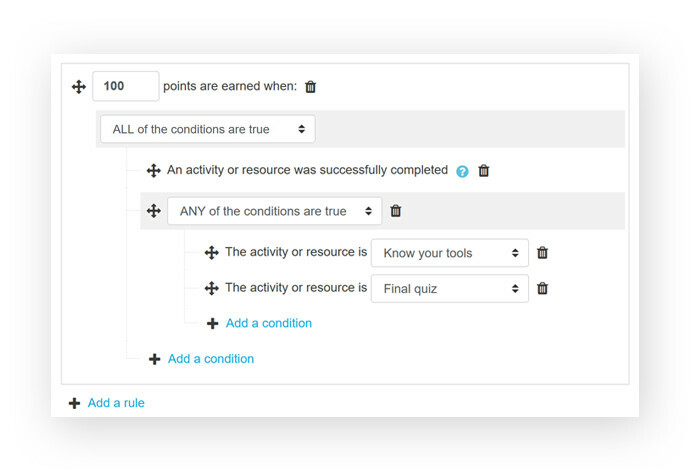 Add gamification to Moodle by enabling learners to gain experience points for participating in their courses. Increase engagement and participation by motivating students to progress towards the next level. Reward their efforts by congratulating learners for reaching the next level. 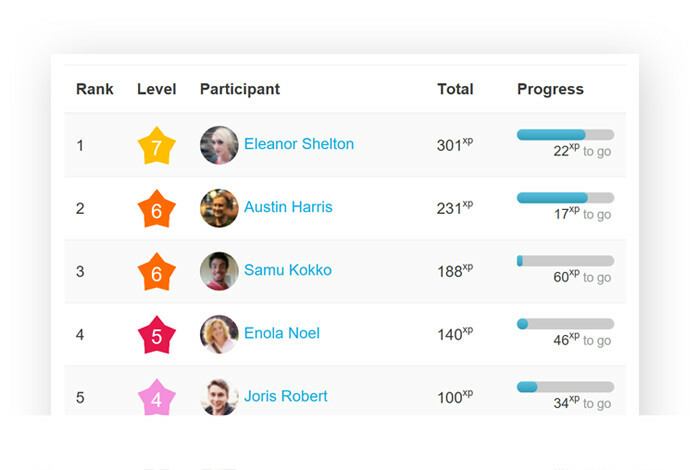 Use the leaderboard to leverage competitiveness while keeping it friendly and motivating. 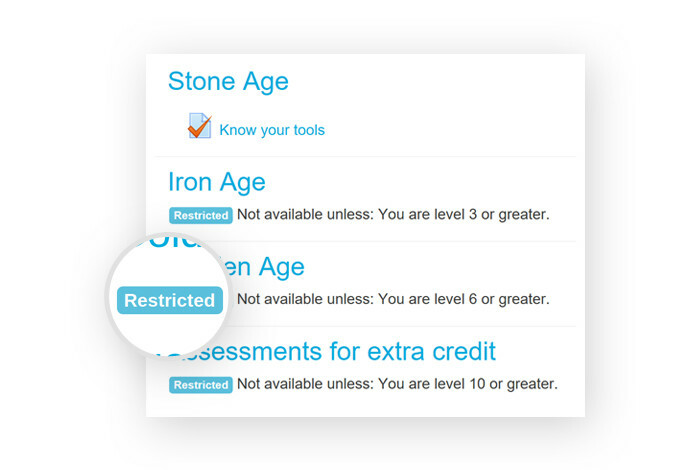 Unlock access to course content when a certain level is reached. Configure the amount of experience points your students receive for what they do. Change the levels and substitute experiences points for other symbols to make it even more exciting! "Excellent block. Easily configured. Great information. Enjoyed by my students! 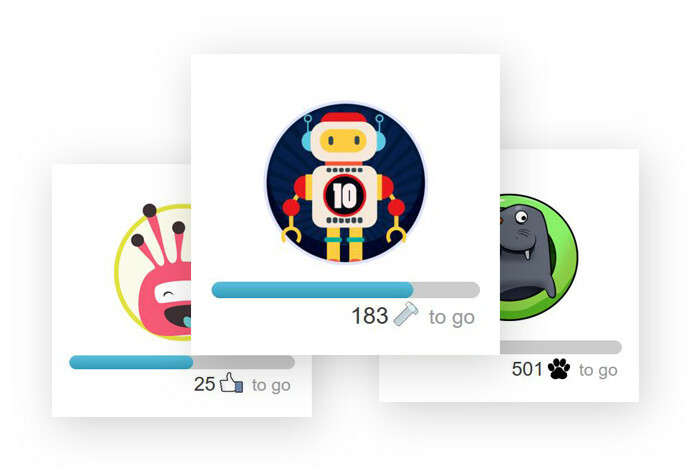 This is the best gamification block out there... so far." "My students absolutely love this and it's nurturing engagement levels that I could never have imagined. The students are doing twice as much work, and powering through content." Need more sites, or have other requirements? Contact us. How about the privacy of the learners? The data collected never leaves your Moodle site. The plugin also complies with Moodle's privacy requirements, making it GDPR compliant. We offer a year of email support with the packages Pro and Multi. What this means is that you can directly contact us if something breaks and we will fix it. The plugin supports all versions of Moodle from 3.1 to 3.6. 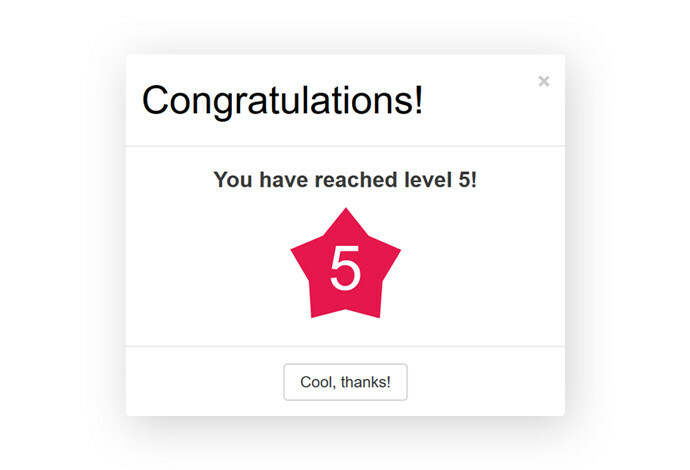 Level up! Plus for Moodle Mobile requires the latest Moodle Mobile app. What do I need to use Level up! Plus? 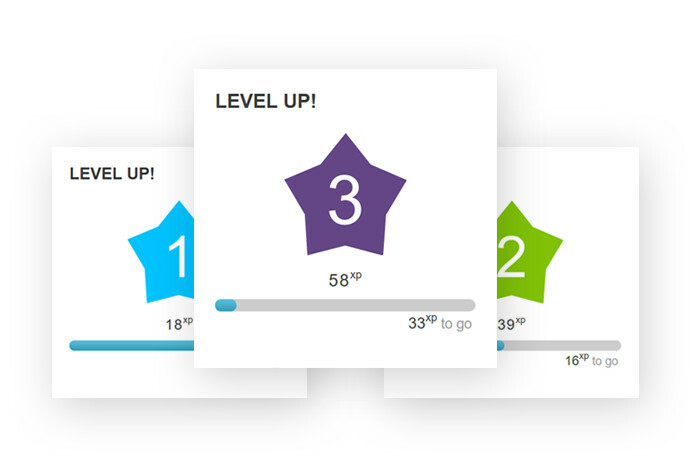 Plus is an add-on for Level up! so the latter must be installed as well.